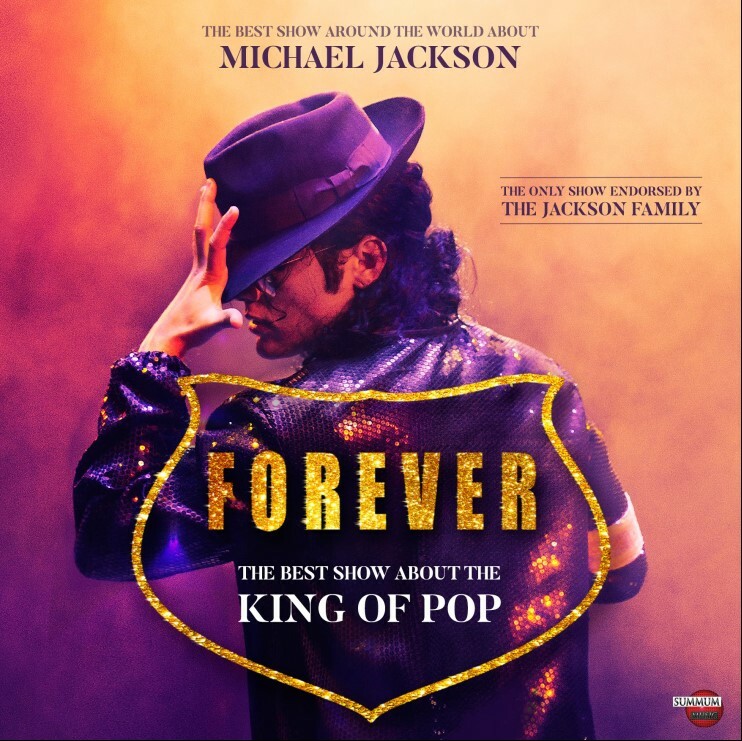 FOREVER is the only one show in the world endorsed by three members from Michael Jackson ́s family. Because isn’t just a deeply intense journey through MJ’s greatest hits, it’s a show where emotions run extremely high. No other show has achieved what this show does. With a bold staging and audiovisual design, an incredibly high artistic quality, the best voices, musicians, dancers and hip-hop. FOREVER is back on stage. Michael, his music, his influence over contemporary artists, his work and systemof beliefs entirely prevail, even more now than in 2010, when a show that more tan 500.000 people has enjoyed was premiered. The King of Pop is still alive, and you will enjoy him more than ever if you take this ride with us. March 10th 2010 Forever King of Pop opened in Teatro Lope de Vega in Madrid. The show had to extend its initial run twice and over 55.000 people watched the show at the theater over the 12 weeks it was on. Later on the show enjoyed two successful national tours and after that it took a leap forward to Europe and Puerto Rico. Cities likeLisbon, Paris, Prague, Warsaw and San Juan in Puerto Rico were conquered by the best show presenting Michael Jackson’s essence. Never before had a Spanish show of this nature, portraying something so remote from our own roots, had such repercussion beyond our borders. Promoters, press and international audiences were taken aback and captivated by the Spanish talent on the show. Joseph Jackson, Michael’s father, watched the show in Spain in 2011. He was impressed and his visit resulted in theJackson Family Foundation’s endorsement of the show. The Foundation, created by the artist’s parents, took theshow on as the official Foundation show on a worldwidelevel. After 5 weeks in Madrid’s Teatro Nuevo Apolo, Forever toured France, the Netherlands, Switzerland, China and traveled to Latin America. Now the show is back with the goal to thrill the audience with the energy of a unique cast, working united to pass on the message and work of an incomparable artist. FOREVER, THE BEST SHOW ABOUT THE KING OF POP premiered January 18th 2018, in the presence of Jermaine Jackson, Michael’s brother. The show’s curtain call had a standing ovation in a jam- packed theater. Public figures from the music, theater and film industry were inattendance and enjoyed the staging, the audiovisual, lighting and sound design and the excellent cast composed of high quality dancers, singers and musicians. La Toya Jackson surrendered to FOREVER, after a performance at the Coliseum Theater in Barcelona. The singer expressed her “gratitude” for the love contributed by the team and especially for Carlos López, who according to her “has captured the spirit of Michael and has put on stage not only his music and songs but also his heart”.